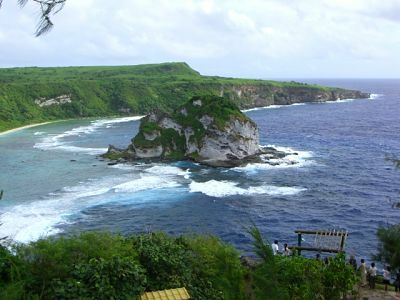 When I traveled to Saipan, Northern Mariana Islands in November 2007, I was so very much impressed with its natural beauty and the kindness of the local people. After all, it's a very popular Pacific island tourist destination. But beneath the facade of its remarkable beauty was an undercurrent of a very depressed economy. With the closing in recent years of its notorious garment factories (often referred to as "sweatshops") and reduction in regular airline service to the island, a number of businesses have gone belly-up. The result was a bit of a ghost town effect, with many empty storefronts and a recently closed amusement park. Nonetheless, the people working in the hospitality industry, hotels, restaurants, bars, retail shops, etc. were extremely delightful. These staff consist primarily of Filipinos and Chinese. 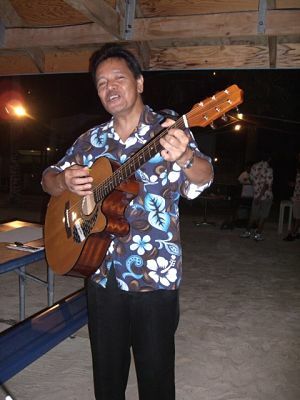 I was especially moved by the Filipino guitar-playing and singing Mr. Archie Echalico, who serenades guests at the Saipan Grand Hotel, both during the beachside BBQ parties and the Sunday brunches in the AOI Japanese restaurant. Please check out Archie's "live" music in my YouTube video playlist below. While we're on the subject, the Saipan Grand Hotel was an exceptional facility, with not only the usual restaurants and shops, but so many other facilities, including tennis, a karaoke bar, a nightclub with live music and dancing, and even a wedding chapel. 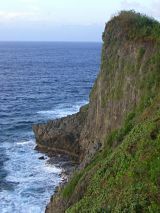 And its scenic location right next to the Philippine Sea is just a short drive from the airport. Highly recommended. Since most of the major airlines cancelled their direct service to Saipan due to the poor economy, most flights to Saipan are now routed thru Guam. And my Guam-to-Saipan flight arrived at the ungodly hour of 3:20 am. 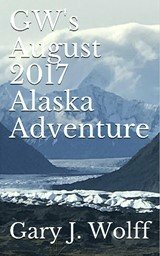 Copying the same page from my Guam playbook, after I rented a car, since it was too late to check into a hotel, I drove toward Mt. Tapochau, Saipan's tallest peak, with hopes of maybe catching a sunrise from the summit. But like many roads in Saipan, the unpaved access road was in such a state of disrepair, it looked more like a rutted out mountain ravine than it did a road, so I finally had to give up, with fears I was about to tear out the undercarriage of my rental car. Most of the main roads and highways in Saipan were ok, but almost all of the access roads to the beaches and to the lesser-traveled scenic spots off the beaten path were in a rather poor condition, so you'd be better advised to take one of the open-air, 4-wheel drive pickup jungle tours (or rent a 4WD truck or SUV if it's available). 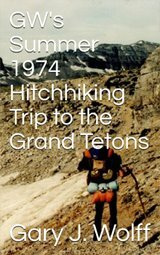 I wound up doing so much bushwhacking in my Budget rental car, I lost part of its trim which must've gotten scraped off on one of the many backroads I travelled down. So when I turned the car in at the airport, I had to fork over an extra $25. Without question, the most beautiful spot I travelled to in Saipan was Banzai Cliff, an absolutely breathtaking wall at the extreme northern point of the island. I don't recall ever seeing water this blue anywhere, except maybe at Ritidian Point in Guam. Unfortunately, the stunning beauty of this area is tempered with overwhelming sadness due to history, and all the war memorials & monuments erected to honor the thousands of casualties during World War II are a testament to that sadness. The Battle of Saipan was one of the fiercest conflicts in the Pacific war, resulting in the deaths of about 30,000 Japanese soldiers, nearly 3000 American soldiers, and sadly, over 20,000 Japanese civilians including thousands who, at the urging of Emperor Hirohito, committed suicide by throwing themselves off of Suicide Cliff & Banzai Cliff in the final days of the battle. While you're in the beautiful northern part of the island, don't miss Grotto, an interesting limestone cavern connected to the open ocean by underwater passages and considered one of the best dive sites in the world. If you're an advanced scuba diver, you might see turtles, clown triggerfish, sharks, manta rays, and tuna here. 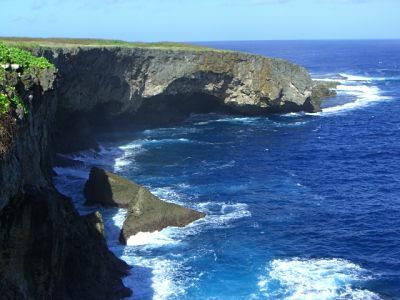 And just down the coast from Grotto is the Bird Island Sanctuary, where from the Bird Island Lookout, you're afforded one of the most striking vistas in Saipan. This is a stop on some of the jungle tours, so you're likely to see throngs of photo-taking tourists here, but it's definitely a must-see marine and wildlife conservation area. I'm not a golfer, but while I was on the northeast side of the island I stopped by the Kingfisher Golf Links course and had tea at their clubhouse. The view was indescribably beautiful, so let's just let the picture in my Saipan travel photo album save me 1000 words of talking. But let me simply say that the stark contrast between the absolutely stunning shades of blue ocean and green grass was unquestionably one of the most breathtaking views I saw in Saipan. A must-visit spot in Saipan if you like Angus Beef is the Country House Restaurant. Not only did the Texas flag outside the front door catch my eye, but the manager was especially cordial. And by all means, don't miss the talking buffalo, one of the highlights of my entire visit to Saipan. Check him out in the video playlist below. Another delightful spot for dinner is the cute little Cusina Restaurant in Garapan, in a jungle-style bungalow which features local Chamorran cuisine, and a pic of which is in my Saipan travel photo album. Garapan is the main shopping & entertainment district in Saipan, complete with just about any kind of restaurant, bar, or retail shop you'd like to find, including Chinese, Korean & Japanese cuisine, American fast food, bakeries, spas, car & scooter rental agencies, and souvenir shops. Saipan even has a Hard Rock Cafe & a Price Costco discount store. 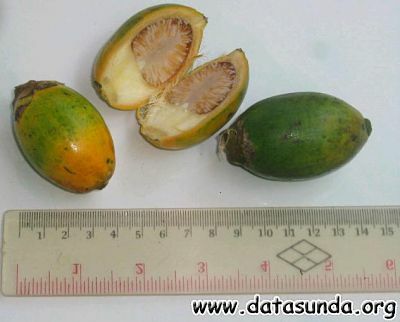 Speaking of food, well not exactly, but one of the rather interesting (if not disgusting) parts of the Saipan culture is the betel nut, which is chewed by the locals. They are commonly sold in about every convenience & grocery store, wrapped inside a betel leaf, along with lime for flavoring. Chewing the betel nuts produces a mild buzz comparable to drinking coffee, and because they are chewed, not swallowed, the bright red juice gets spit out indiscriminately in public, creating an unsanitary and unsightly mess, similar to chewing tobacco. As a result, many shop owners prohibit the chewing of betel nuts inside their establishments & even post signs to that effect, like the one shown below in my Saipan travel photo album. 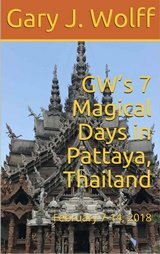 One day while I was gazing westward out into the Philippine Sea from the balcony of my room at the Saipan Grand Hotel, I noticed off in the distance what appeared to be a gray navy ship. As it turned out, a couple days later when I left Saipan, before heading to the airport I toured the Saipan Port, and docked there before my very eyes was the USS Germantown. It's a magnificent U.S. Navy amphibious assault ship homeported in San Diego, CA, which had stopped off to give its 400 U.S. Marines a few days of R&R. 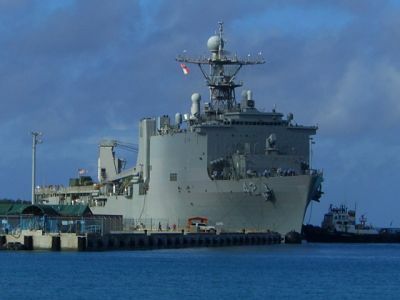 Although the U.S. military activity is quite small in Saipan compared to its major footprint in Guam, a number of U.S. Navy ships do routinely make port calls here, and they are widely welcomed by the Saipan chamber of commerce & business community, oftentimes even with welcoming ceremonies, due to the positive impact on the local economy. I hope you enjoy my Saipan travel pictures! You can view the entire Saipan travel photo set here. If you've ever wondered exactly where Saipan is, it's about 120 mi (190 km) north of Guam, which is about 3300 miles west of Hawaii. It takes about 50 minutes to fly from Guam to Saipan. Please check in again soon to this Saipan travel page as I update it in the future with more details on some of the other local sights. 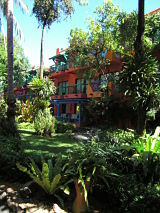 You really owe it to yourself visit this beautiful place soon. And they could sure use your tourist money.